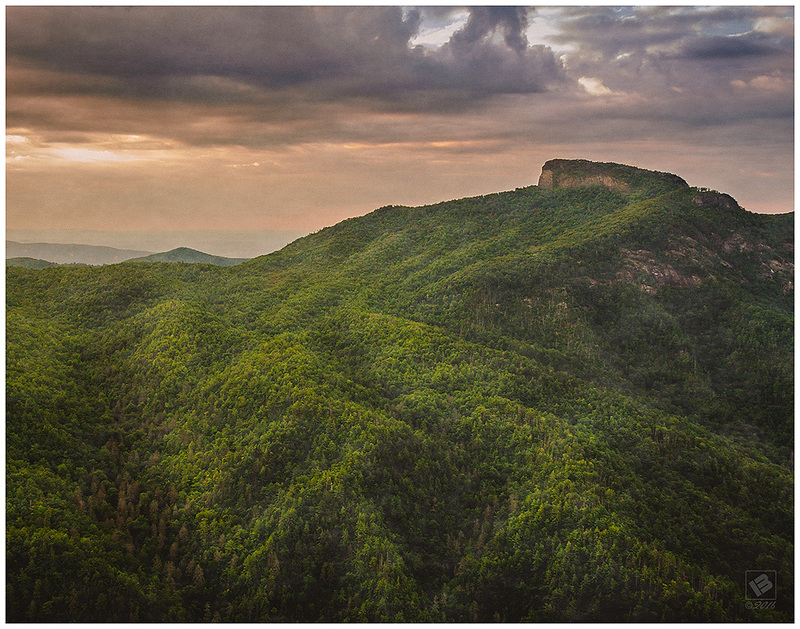 The Linville Gorge is one of my favorite places in North Carolina. A gravel road on the western perimeter of the gorge leads up to Wiseman’s View. Follow a short path out to an overlook which is approximately 1000′ above the Linville River. From Wiseman’s View you a great vantage point of Table Rock. This is a great spot to view the Brown Mountain lights – the mysterious lights that appear after dark in and around the perimeter of the gorge. Scotty Wiseman wrote a bluegrass song titled “The Legend of the Brown Mountain Lights” in the early 1960’s. It was performed by various artists such as Tommy Faile, The Kingston Trio, and Sonny James among others. After hearing about them ever since I was a kid, I’ve been fortunate to have seen them twice in recent years. Both times they were visible on top of Table Rock Mountain, and also on Hawksbill Mountain just out of the frame to the left. This entry was posted in NC Mountains by Matt Bennett. Bookmark the permalink.